Completely bonkers but where would we be without them? Even when I was watching this video my heart was skipping a beat and when they mentioned the high roof beam being slippy ( with a little french thrown in) I thought yeah… one false move and your life is over. Sheer madness but you have got to hand it to them for their bravery. Really strange how people get a huge buzz out of daredevil antics. It’s the adrenalin rush that keeps them wanting more and more. Of course they are not going to fall are they? Because they are wearing the non slip footwear.. the advertising company wouldn’t fare to well if there boots weren’t actually non-slip now would they? Have you been doing anything crazy lately that might earn you a small packet with company sponsorship? A new generation of young Russian photographers have a different and unexpected way of looking at a city. 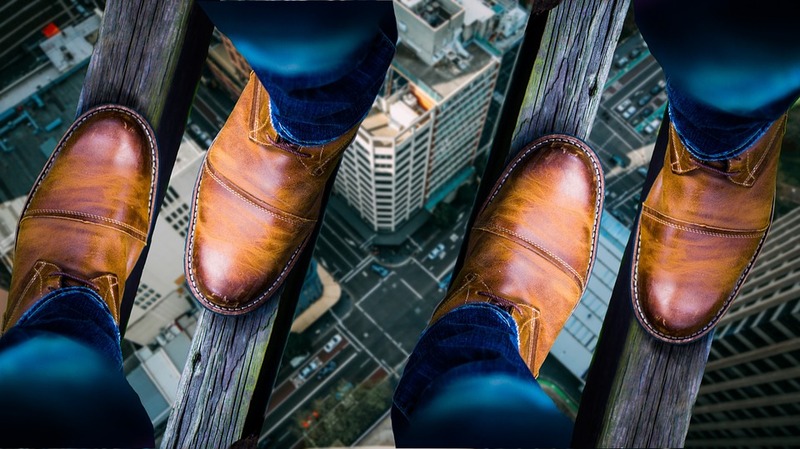 In ‘Roofer’s Point of View’ we follow Vadim Mahorov and Vitaliy Yakhnenko on their exciting journey to terrifying heights, capturing the city from places people would normally avoid. Did you heart skip a beat?